Protect yourself from Colds & Flu. Supercharge the Immune System..
Good metabolism & digestive fire. Body heat and energy. Women health. Anti-aging & rejuvenation. Natural aphrodisiac. Antioxidant-rich. Beauty & energy booster. 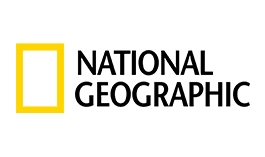 Acted in the National Geographic Channel series "The Science of the Mind"
Our mission is to contribute to the understanding and use of plants with benefit to people and to help in transition from a curative to proactive health care. 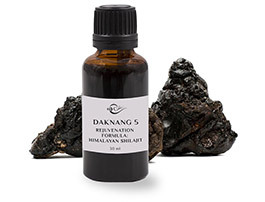 We specialize in a liquid herbal extracts uniting Himalayan wisdom, wild nature and International standards of pharmacopeia. Practice these instructions for 10 minutes every day, and you will improve your health! In 1 minute, You can evaluate Your immune system and get instructions to improve it! This will probably shock you a little, but You need this knowledge! I had sleep problems, woke up 3 to 4 times per night and couldn't fall asleep again afterwards. After 3 days of taking Daknang 15 (Anxiety Free Formula), my sleep has greatly improved. For 7 years, I have had lasting migraines and pressure in my whole body, as well as great loss of energy. Then I started taking Daknang 1 every time as soon as the first symptoms of an upcoming migraine appeared, and the relief was noticeable at the same evening. It works if You use it! 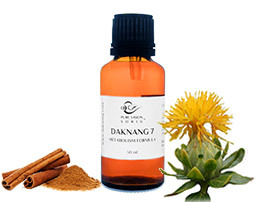 Daknang 7 Metabolism Formula - Can’t live without it. It does what it says on the tin! Perfect for metabolism. If you have any issues with your digestive systems, you have to have this. I have the slowest metabolism on the planet, suffered from stomach cramps and felt bloated all the time. I spend loads of money of different food supplements, pro and prebioticum to keep it under control. Not any more. I now take 10 drops of Daknang 7 daily and have a healthy gut with regular bowel movements. All testimonials and product reviews are authentic and provided by actual customers. Information and statements made are for educational purposes only and are not intended to replace the advice of your treating doctor. Pure Vision Sorig (Daknang brand owner) does not provide medical advice, prescription, nor diagnosis for illness. The views and nutritional advice expressed by Daknang are not intended to be a substitute for conventional medical service. If you have a severe medical condition or health concerns, see your physician. This Web site contains links to Web sites operated by other parties. Such links are provided for your convenience and reference only. We are not responsible for the content or products of any linked site or any link contained in a linked site. 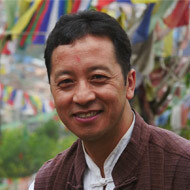 Daknang does not adopt any medical claims which may have been made in 3rd party references. Where Daknang has control over the posting or other communications of such claims to the public, Daknang will make its best effort to remove such claims.